Do You Know Your 'Body Time'? TUESDAY, Sept. 11, 2018 (HealthDay News) -- No matter what your watch says, your body may be on a whole other schedule. Now, scientists say they've created a blood test that pinpoints the timing of your own internal clock. The TimeSignature test evaluates dozens of genes to reveal an individual's "circadian rhythm" -- the crests and troughs that occur throughout the day as your body and brain cycle between sleepiness and alertness. "Everyone's clock ticks at a different rate. 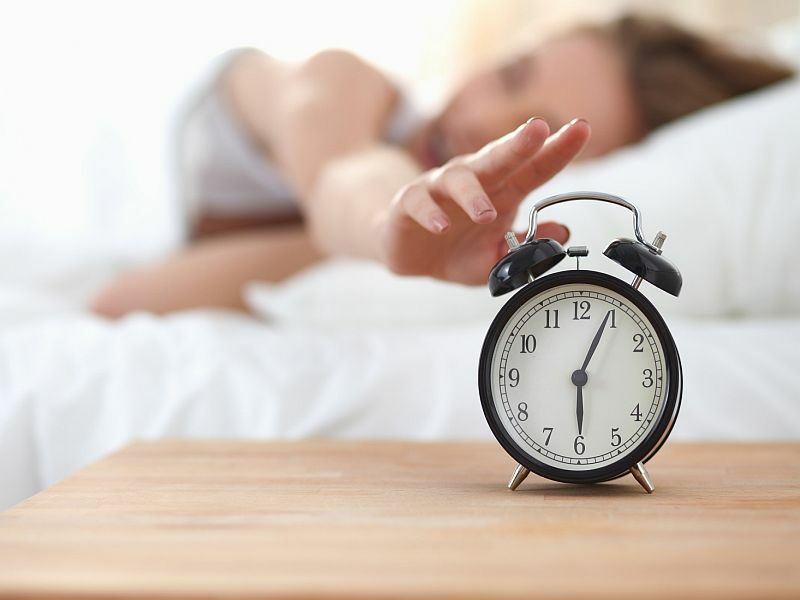 If you want to do personalized medicine, knowing the clock time of the patient is very important," said sleep expert Dr. Mark Wu, of Johns Hopkins University in Baltimore. Two blood samples taken about 12 hours apart could provide a solid estimate of your internal clock, said lead researcher Rosemary Braun. "By looking at a set of 40 different genes that are expressed in blood, we can pinpoint a person's internal clock to within an hour and a half," said Braun. She's an assistant professor of preventive medicine at Northwestern University School of Medicine in Chicago. Easy and accurate assessment of a patient's body clock could potentially help doctors treat more than just sleep disorders, experts said. For example, cholesterol-lowering statin drugs work better when a person is winding down, because the enzyme they block is more active in the evening, said Wu, who wasn't involved in the current study. There's also some evidence that chemotherapy works better when administered at specific times of day when cancer cells are actively dividing, added Wu, an associate professor of neurology. Your internal biological clock orchestrates processes in nearly every organ system throughout the body. Anyone who has worked a night shift or flown overseas can tell you the entire body is thrown off kilter when your internal body clock doesn't match the timing of the external world. Until now it's been extremely cumbersome to precisely determine an individual's circadian rhythm, said Dr. Steven Feinsilver, director of sleep medicine at Lenox Hill Hospital in New York City. He played no role in the new research. Doctors can take urine or saliva samples from a patient every hour for a day or two and measure levels of melatonin or cortisol, hormones closely related to the sleep/wake cycle, Feinsilver and Wu said. The other option is to use a rectal probe to monitor core body temperature for a day or so, the experts said. "The current approach clinically is impractical and costly," Braun said. "It requires multiple samples across the day and night. That makes it really burdensome to the patient and expensive to do." Northwestern University researchers evaluated about 20,000 genes to determine which ones are most closely linked to the rhythms of the body, Braun said. They pared their test down to 40 genes that told internal time most accurately. Then they developed a computer process that reads those genes to establish an individual's circadian rhythm. "Some of them are known clock genes. Others are genes that are not directly related to the clock, but we know they're under circadian control," Braun said. "Between 30 and 40 percent of genes fluctuate over the course of the day, in keeping with that clock. That's the signal we're picking up." Blood samples for the test can be taken any time of day. And the test is accurate whether or not you've had a good or poor night's sleep, researchers said. Northwestern has filed for a patent on the blood test. The test will need more validation before it's put on the market for clinical use, but it's now available for free to other researchers for use in scientific studies, Braun said. Misaligned body clocks have been tied to a wide range of illnesses, including diabetes, obesity, depression, heart disease and asthma, researchers said. "We might be able to predict ahead of time who is at risk of getting sick before they develop symptoms," Braun said. This test also could have applications outside medicine. For example, employers could use it to design the best shift schedule for their workers by sorting out early birds and night owls, Feinsilver said. The study is in the Sept. 10 Proceedings of the National Academy of Sciences.